As the editor is leaving the country for a month, Crawlspace will be on holiday until July 23. For good music in the meantime, Google “Pantera”. Full disclosure: for a while I didn’t feel compelled to say anything about this single. I was happy to just enjoy it. You can’t always indulge something like Rule of Thirds with meaning. This is rote goth that leans on the post-punk side of that broad descriptor. It sounds like this and that, and so what. Rule of Thirds is from Adelaide. Of all of Australia’s state capitals, Adelaide is the most foreign to me. I’ve never been there and I’ve no urgent desire to visit it. I’d prefer to go to Melbourne again. I’m not compelled to wonder about Adelaide, and so the music from there just is, to me. It’s suspended in a context vacuum. The strongest impression that city or its periphery has ever left on me is Snowtown, but that could happen anywhere, really. So yes, Rule of Thirds’ music sounds very unremarkable indeed to me on paper, and with little idea of the environment that birthed it. Except the lead single on this 7 inch, ‘Mouthful’, is one of the best songs I’ve heard in a long time: it raises hairs in a way that makes writing about it seem pertinent. And it was only on realising this that it hit me that wow, this is Australian rock music without a shred of whimsy or domesticity and nor, at the other end of the spectrum, beer-fueled self-destruction or young male auto-critique: this is Australian rock music that doesn’t self-mythologise in order to imbue meaning, or ‘Australian-ness’. It doesn’t sound like it’s from anywhere in particular. In a word, it’s not relevant. And isn’t that weird! In this way Rule of Thirds reminds me of Total Control, or Naked on the Vague. It doesn’t sound specifically like where it’s from: it’s pushing into somewhere foreign. It’s a self-contained world. In case you hadn’t noticed, Australian rock music is quite revered right now, among probably a couple of thousand folk from abroad. That’s quite a lot for us. And it’s usually music that sounds the way we expect Australian rock music to sound. Usually, confusingly, New Zealand stuff – Flying Nun, Xpressway – or else old Killed By Death records, or the Go-Betweens, or The Birthday Party. Always touchstones, always pre-configured ways of understanding this, “our music”. No problem with that, because it’s probably just in the blood. 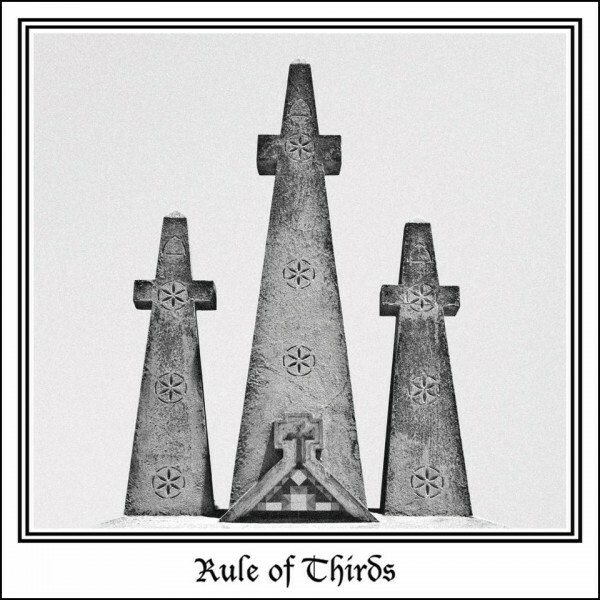 But Rule of Thirds are a rock band with no readymade mythology (god help them) and no exhibited affection for a legacy they’re entitled to. And so I can’t imagine anyone paying them a great deal of attention. This is insular, introspective music. It won’t teach or affirm anything. It’s not emblematic of our condition. It won’t reinforce a narrative we can latch onto in order to justify it to our peers, because talking about it is a struggle. I’ve written about it without saying anything about the band at all. Hey, Rule of Thirds, what are you trying to say? You’ll probably enjoy Rule of Thirds most while necking fluids with your friends, or smoking weed with Rage muted, or just sitting there. That’s enough. Listen to these songs while just sitting there. The easiest way to describe an Australian rock group like Rule of Thirds is by crossing off all the characteristics they don’t exhibit. But then you’re left with no story. Maybe we should make up some new ones then.